Egyptian Foreign Minister Sameh Shoukry called for developing a “sustainable” strategy to prevent a recurring shortfall in funds at the United Nations Relief and Works Agency for Palestinian Refugees (UNRWA) during an Arab League meeting in Cairo on Tuesday to drum up support for the agency following a recent financial crisis caused by a US aid cutoff. 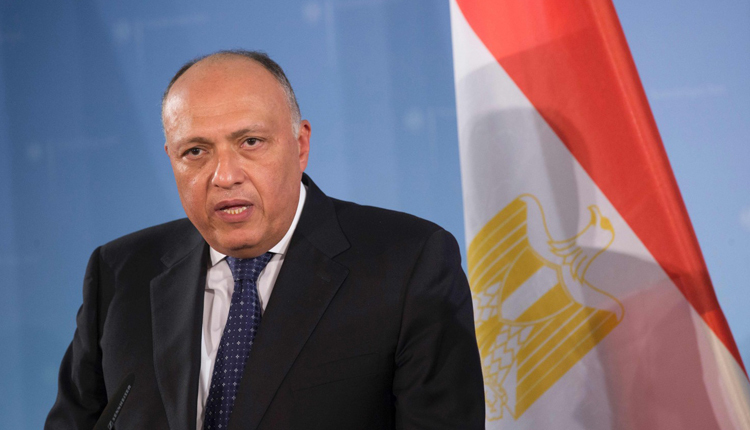 Shoukry cautioned that undermining the agency would “fuel extremism and instability in the region,” according to state news agency MENA. He applauded the efforts by Arab countries to support the agency, but said “a short-term and long-term action plan to maintain [UNRWA’s] role” is needed. Last month, Washington said it was cutting all US funding to the UNRWA, saying its business model and fiscal practices showed an “irredeemably flawed operation.” The decision came a week after the State Department said it would slash $200 million in aid to economic programmes in the West Bank and Gaza and redirect the funds elsewhere. The 68-year-old agency said it currently provides services to around five million Palestinian refugees in Jordan, Lebanon, Syria, Gaza, and the West Bank. He added that the agency would seek additional contributions from other Gulf countries and European partners to overcome this year’s $200 million shortfall. Jordan Foreign Minister Ayman Safadi said at the Arab League that his country would hold a meeting “in cooperation with Sweden, Germany, Japan, the European Union and Turkey” on the sidelines of the U.N. General Assembly later this month “in an effort to get more aid”.